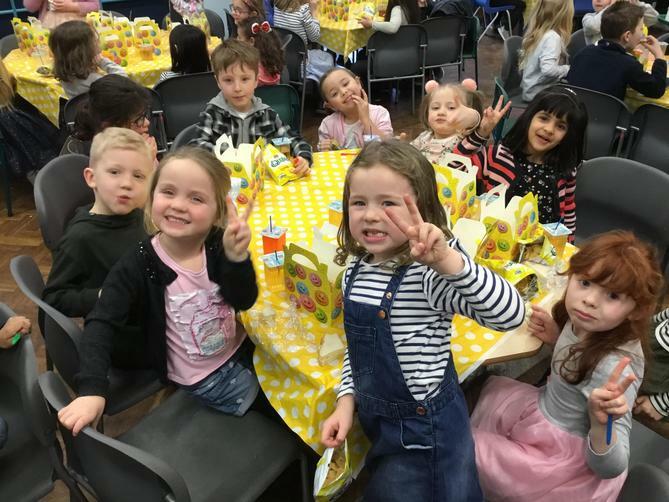 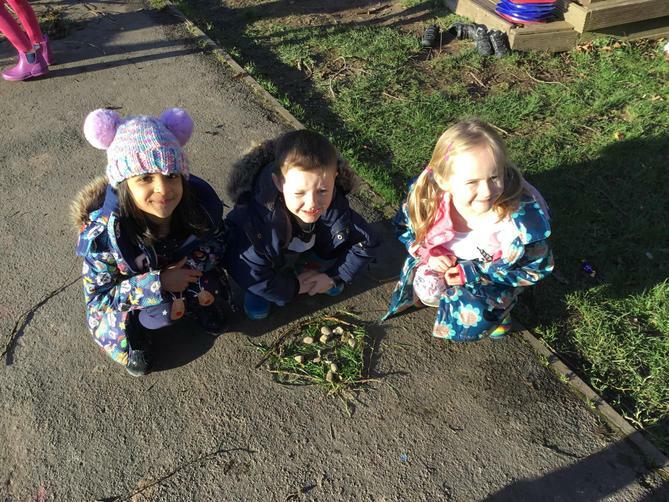 We have had such a fun week! 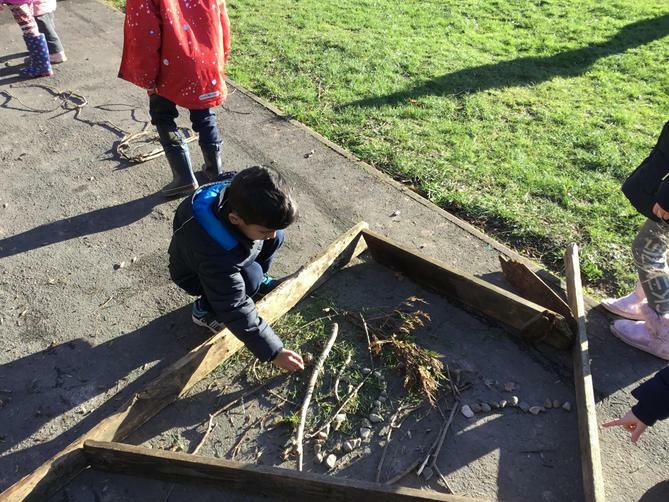 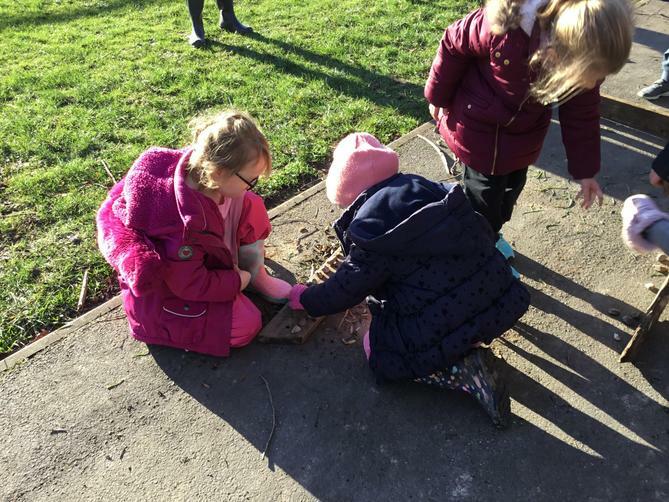 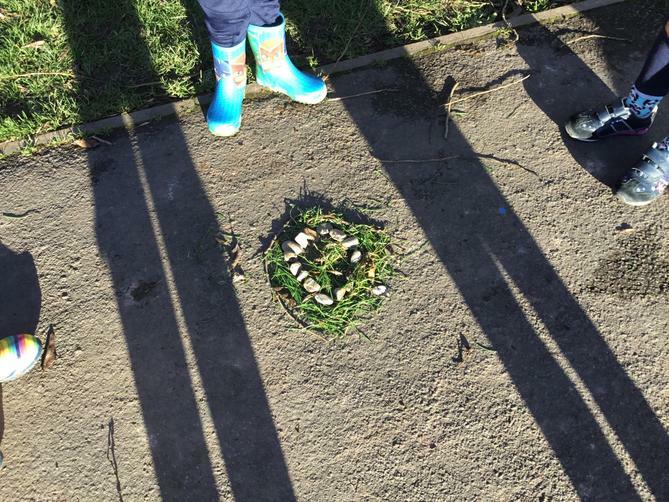 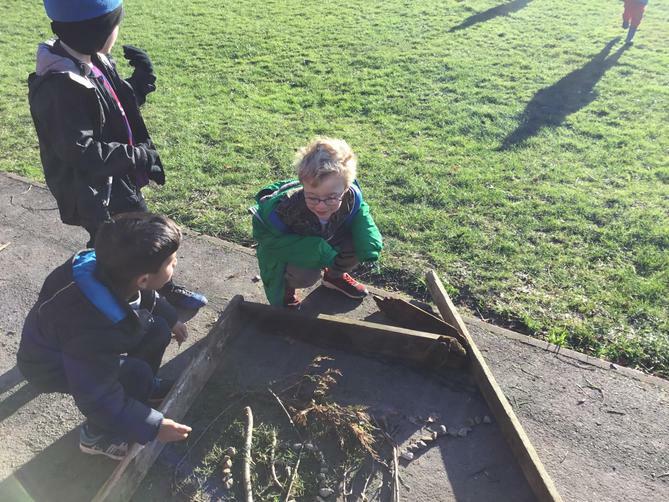 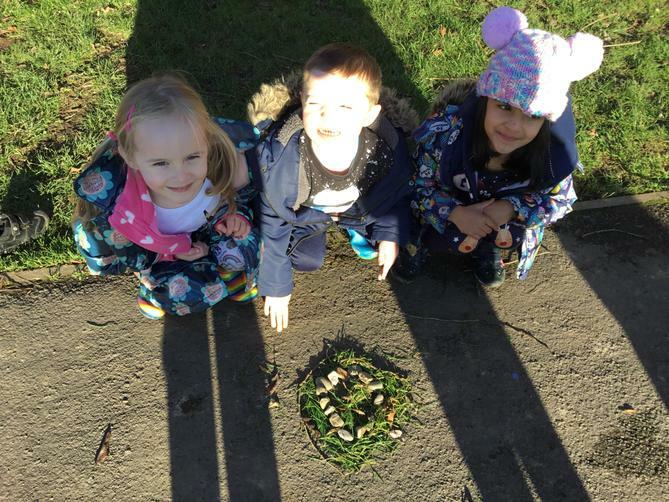 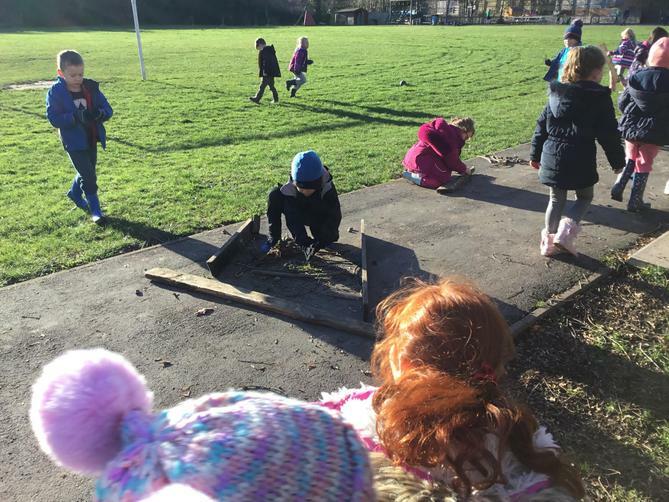 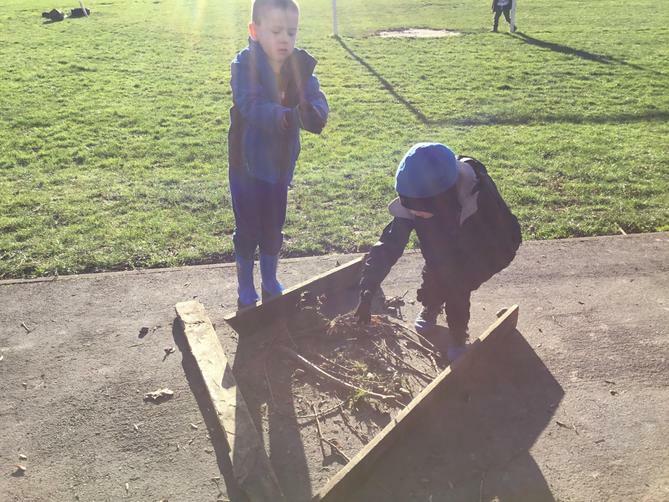 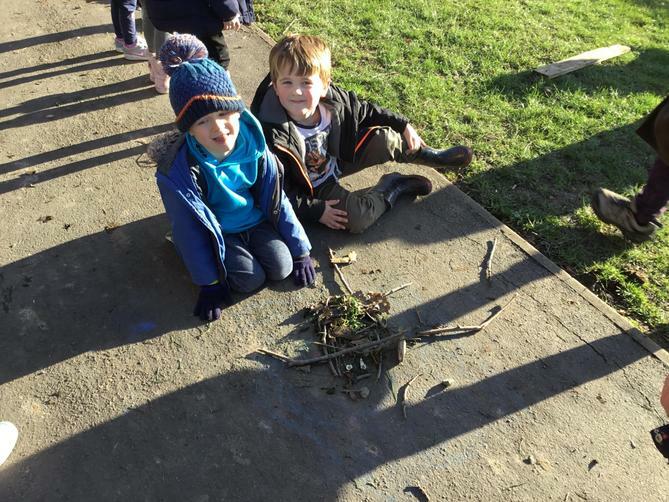 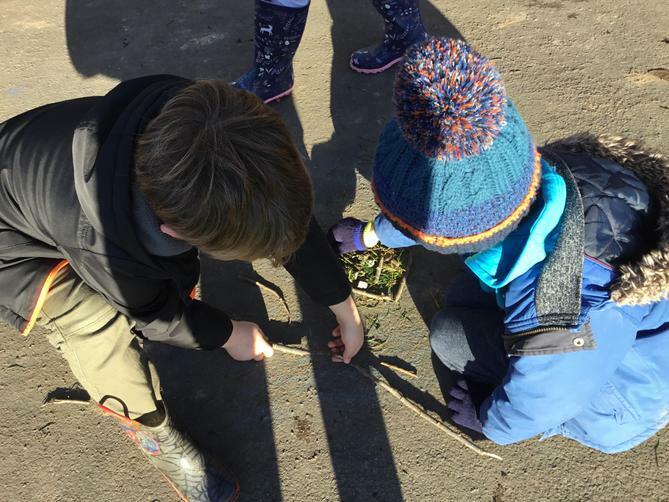 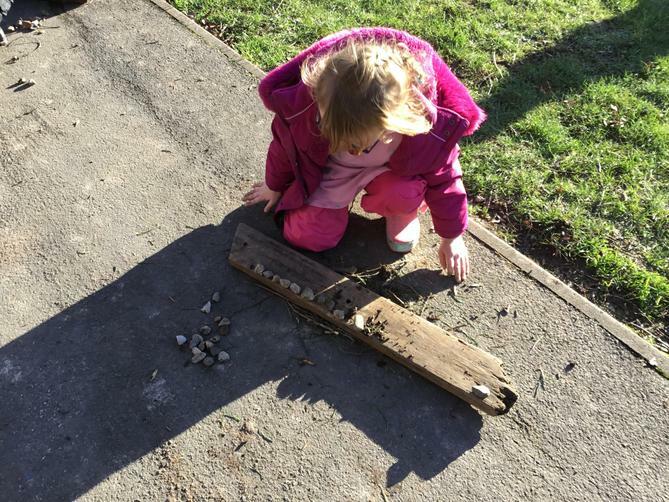 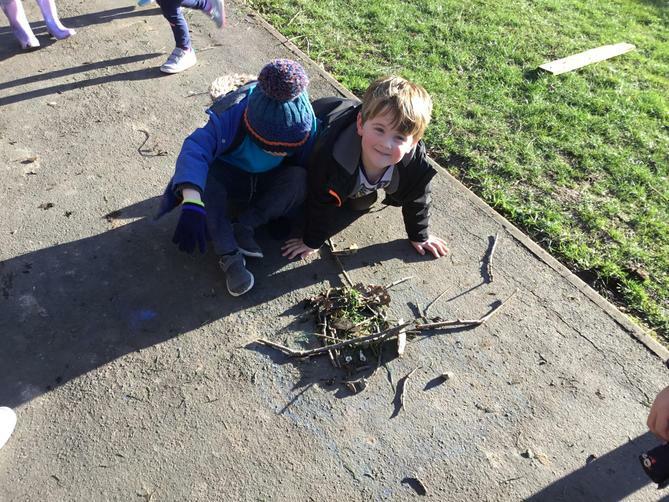 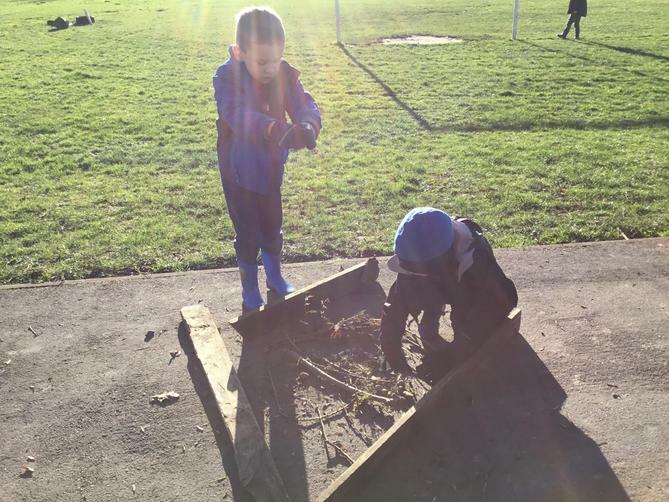 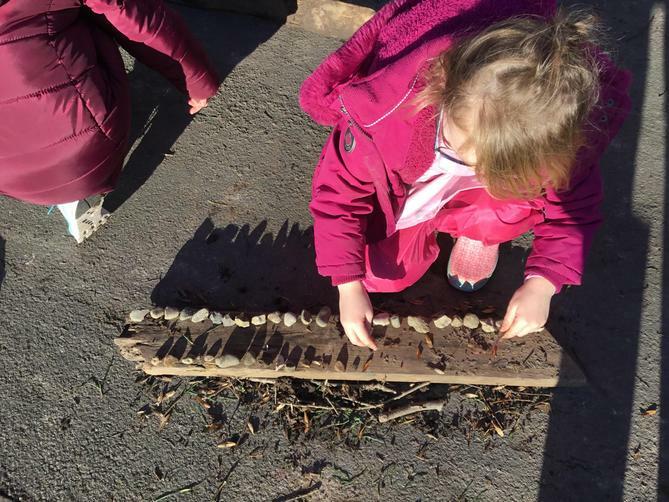 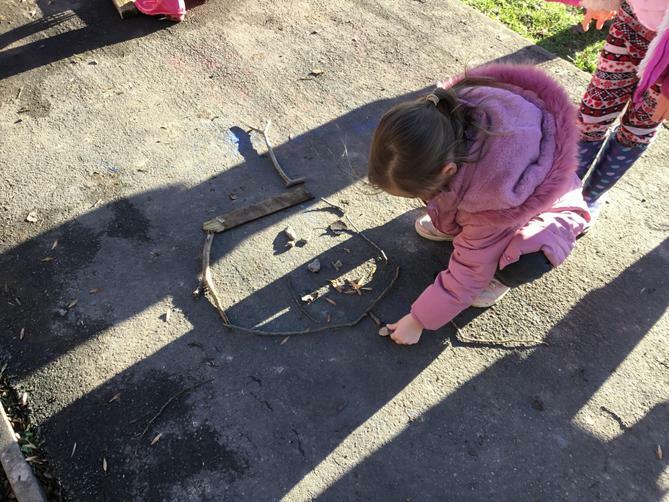 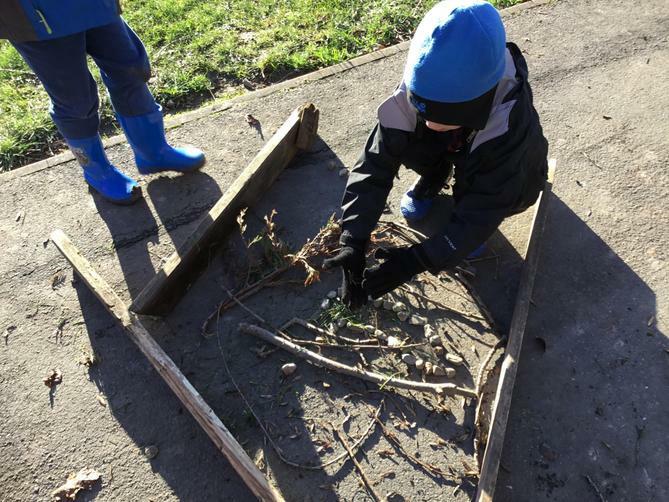 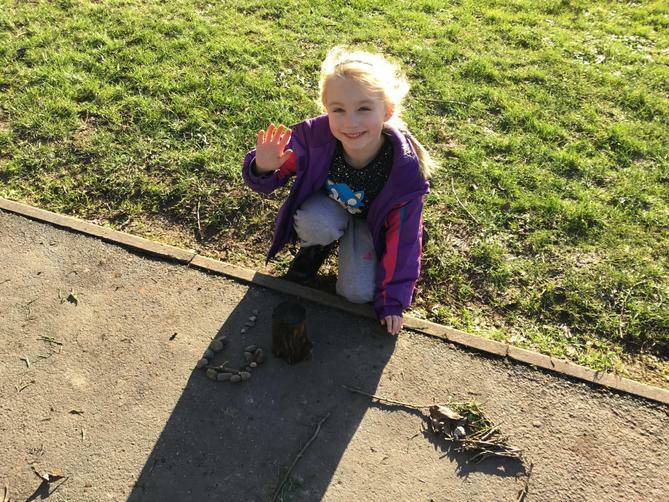 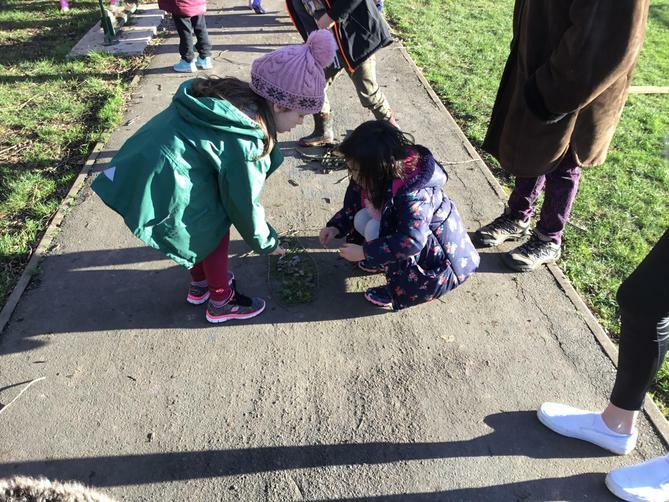 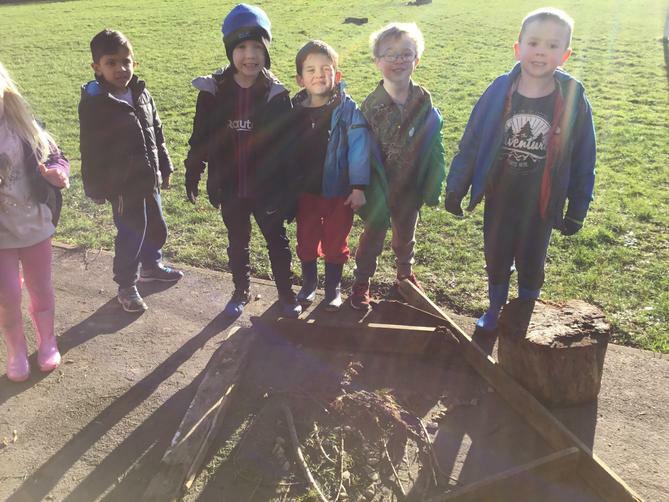 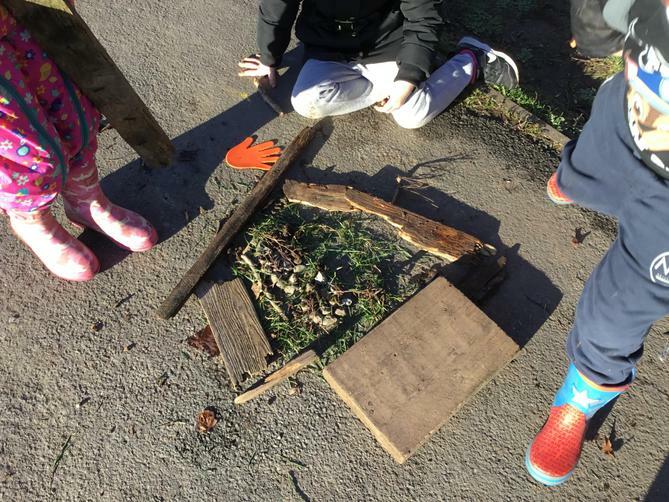 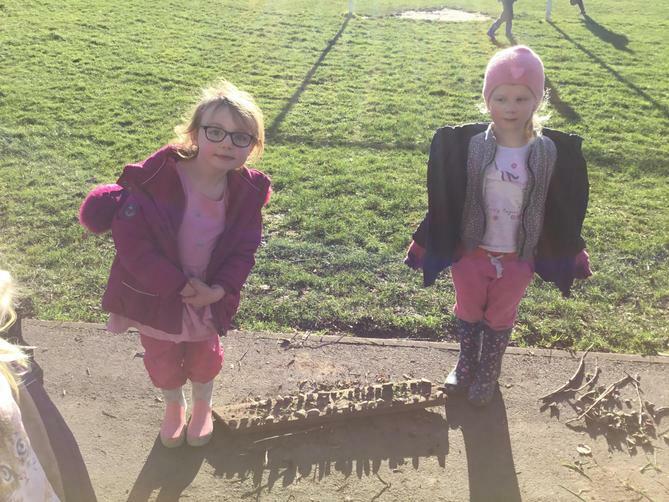 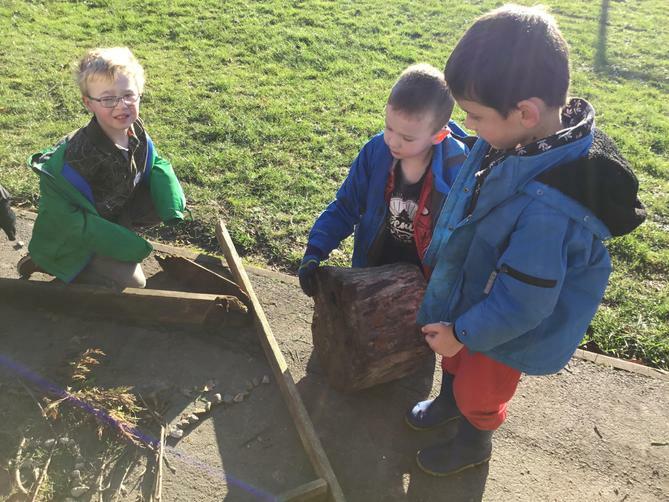 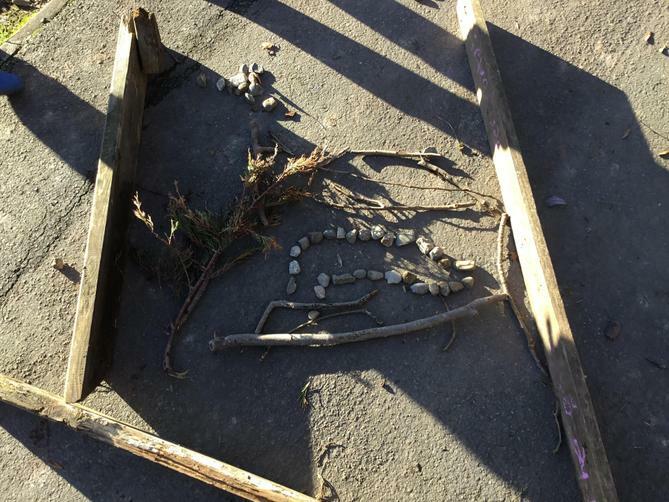 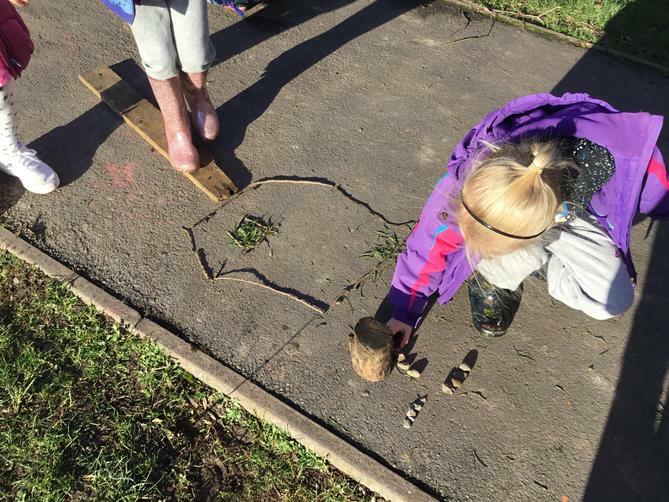 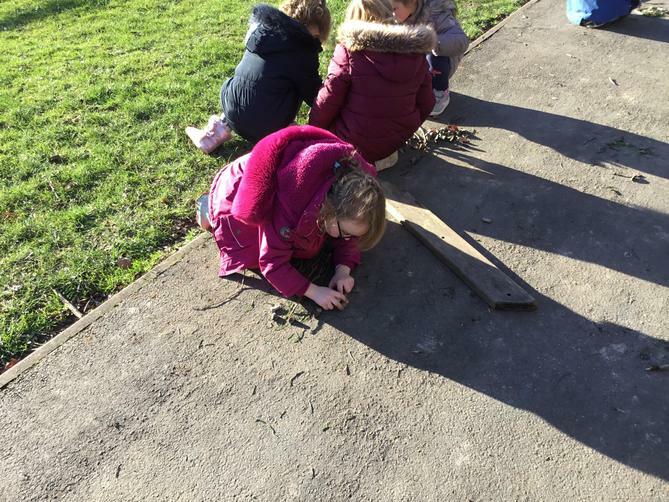 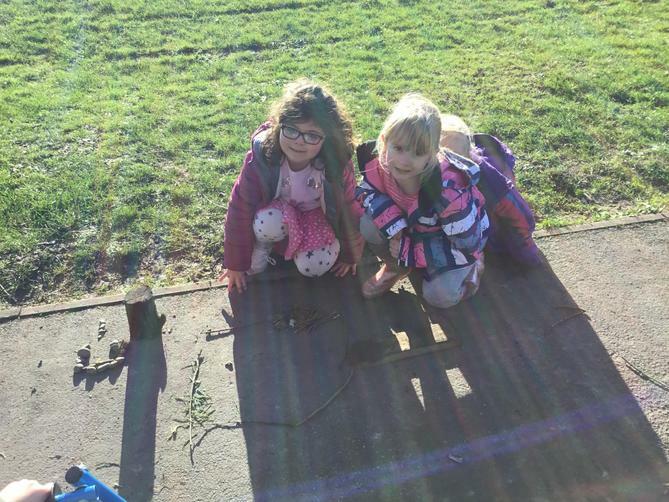 We have had a very fun week, we made fairy gardens in forest school! 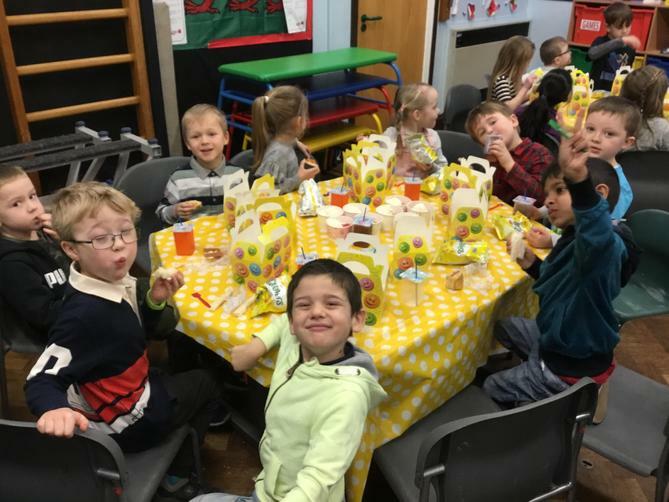 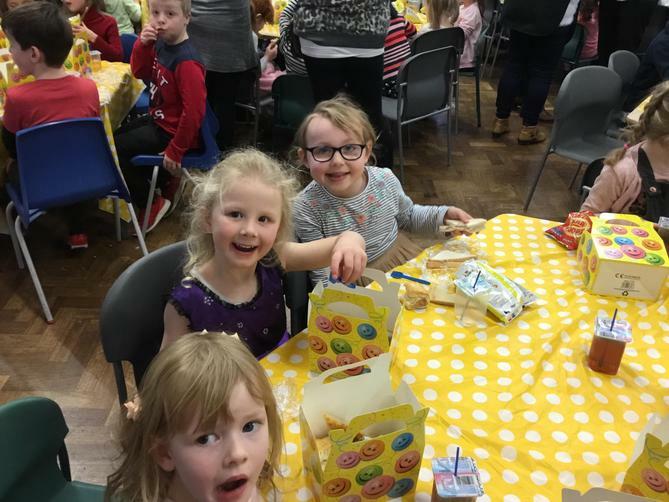 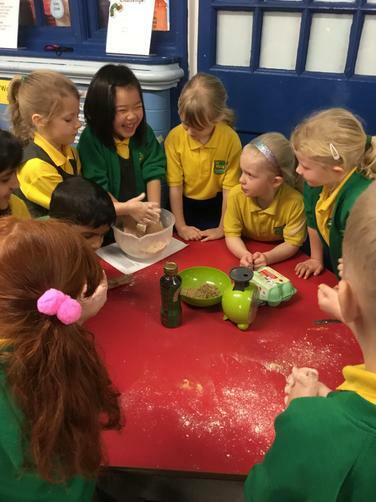 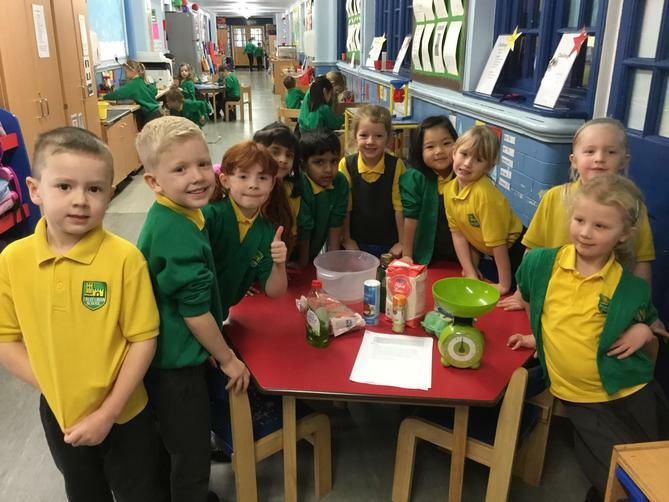 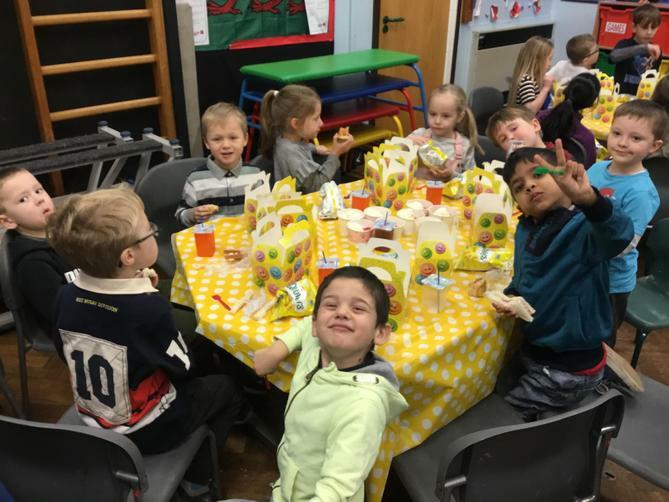 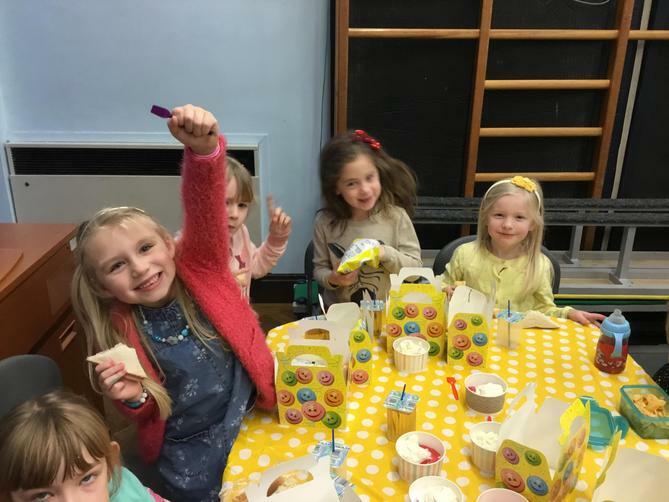 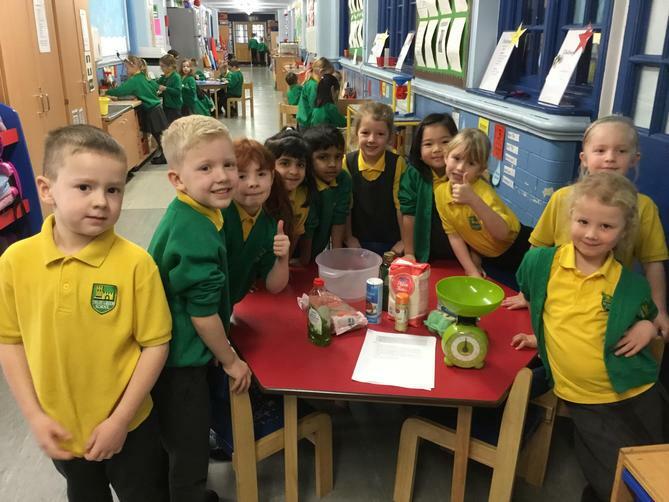 We had a party to celebrate how well the children did in our recent inspection and we have made gingerbread men with Miss Evans becoming the next Mary Berry! 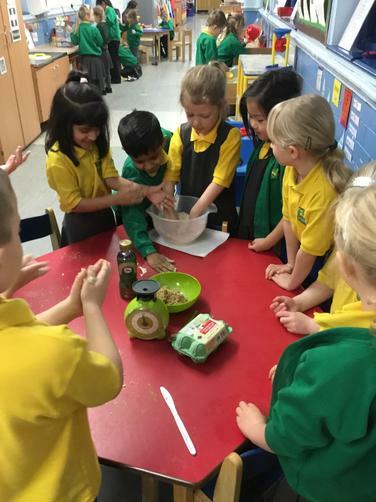 We even had to start taking orders from the staff by the end of the week because they were that good. 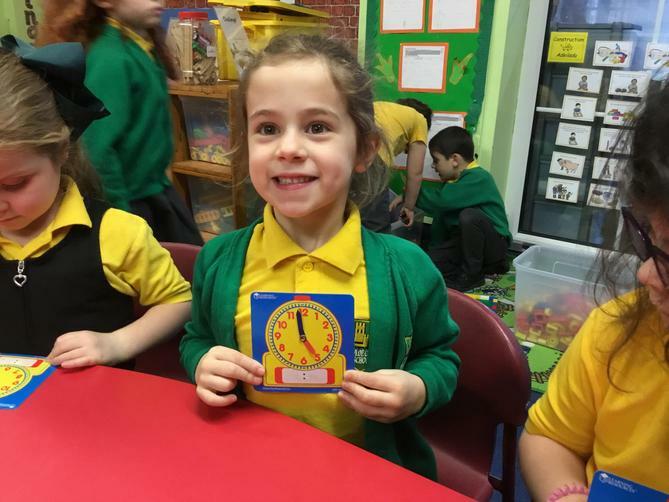 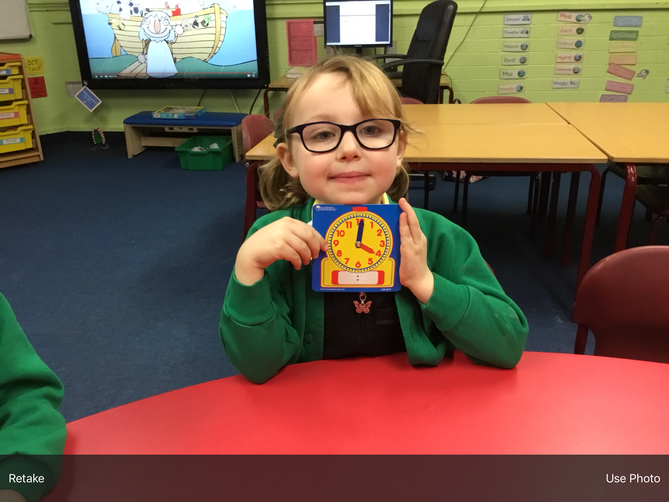 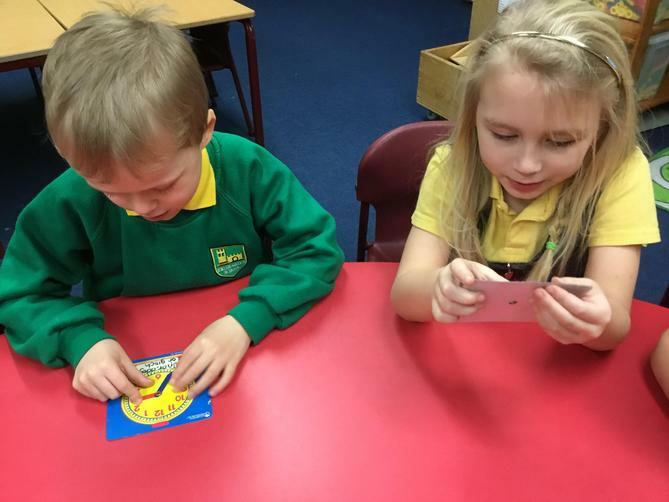 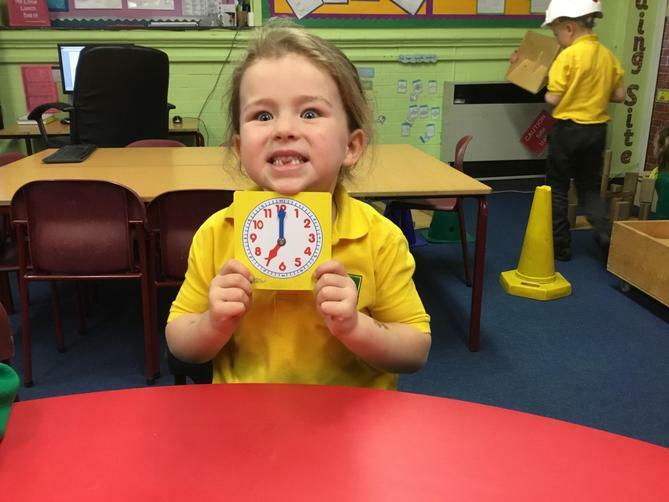 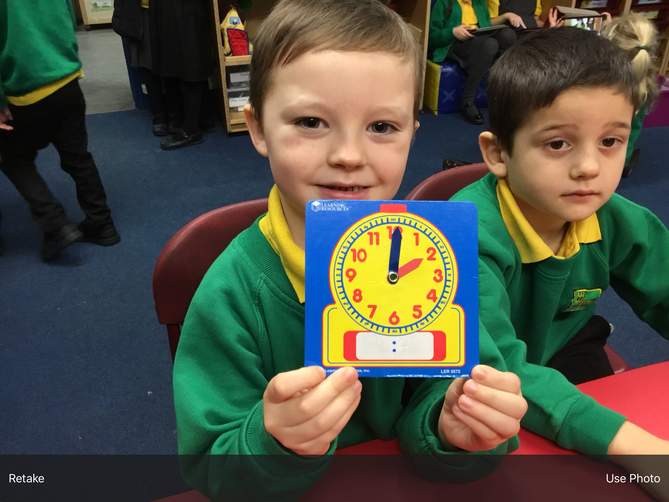 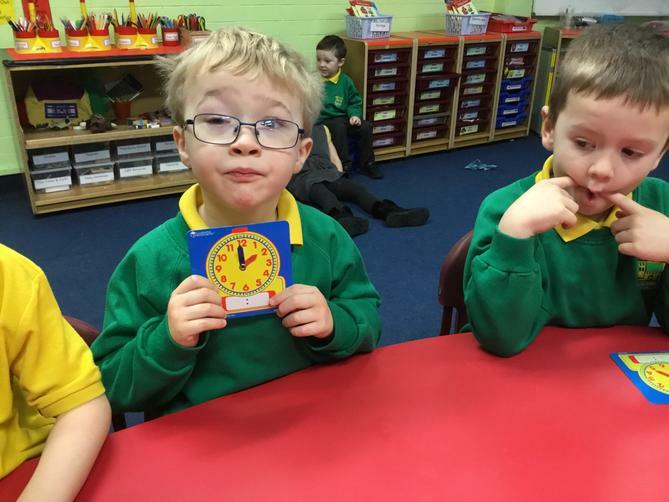 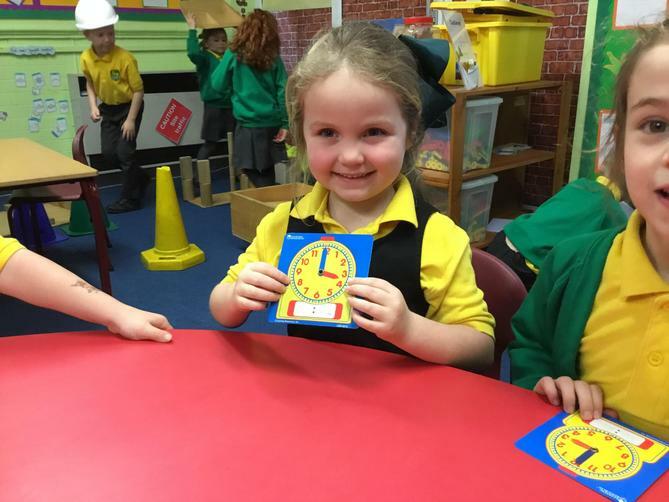 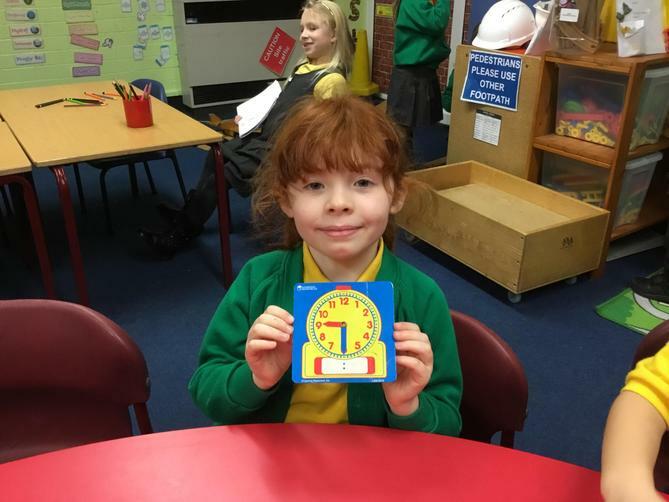 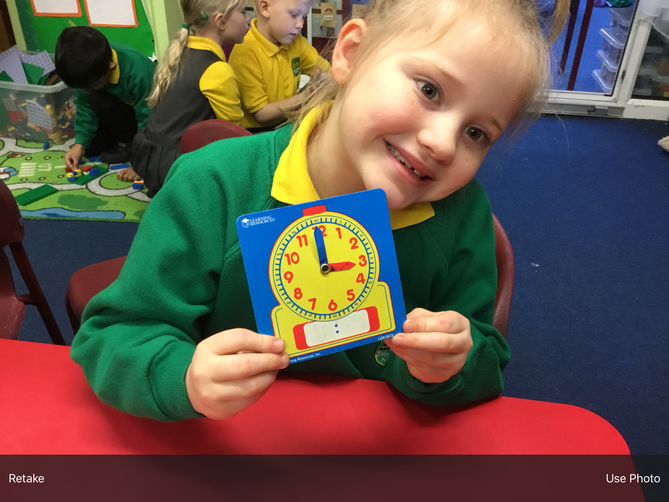 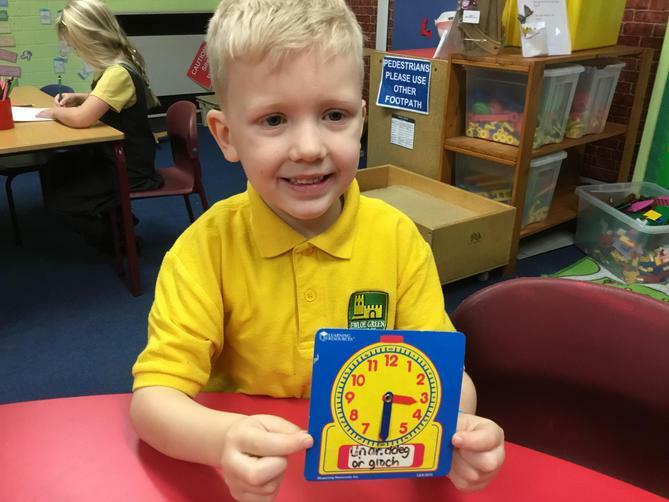 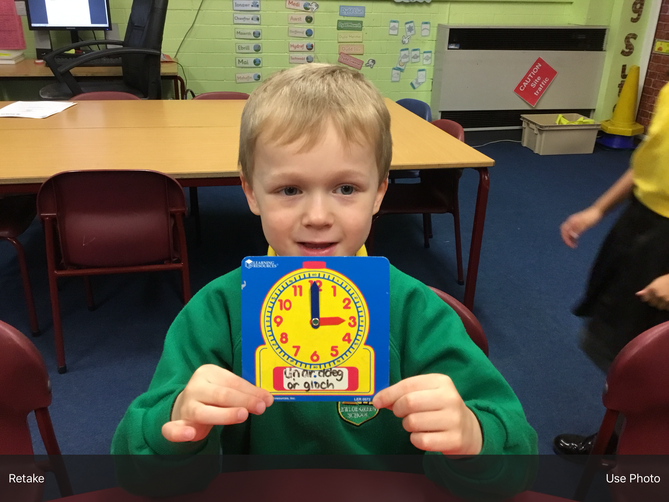 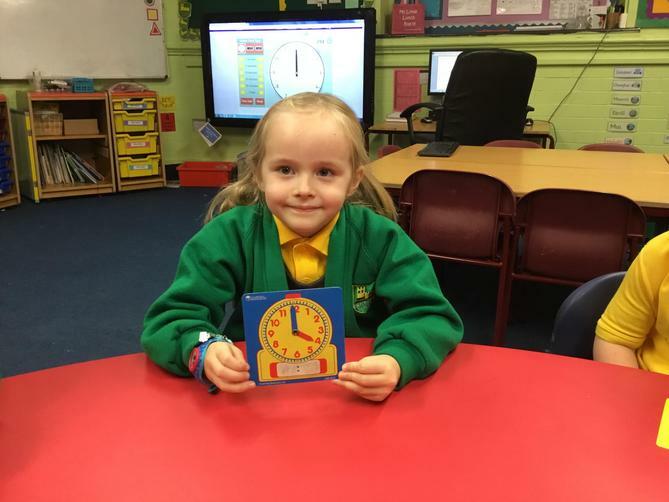 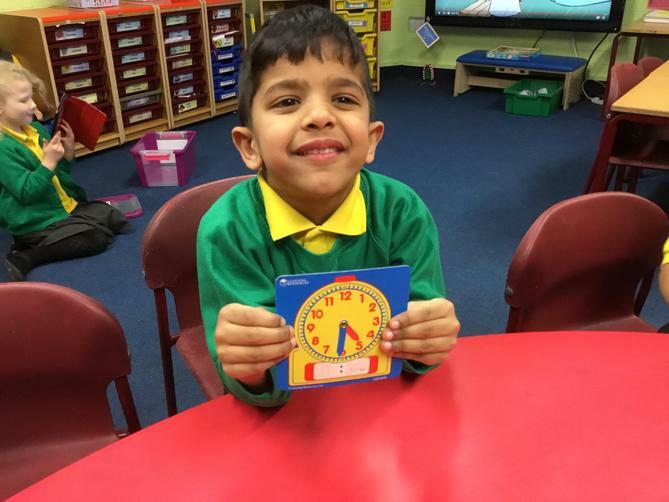 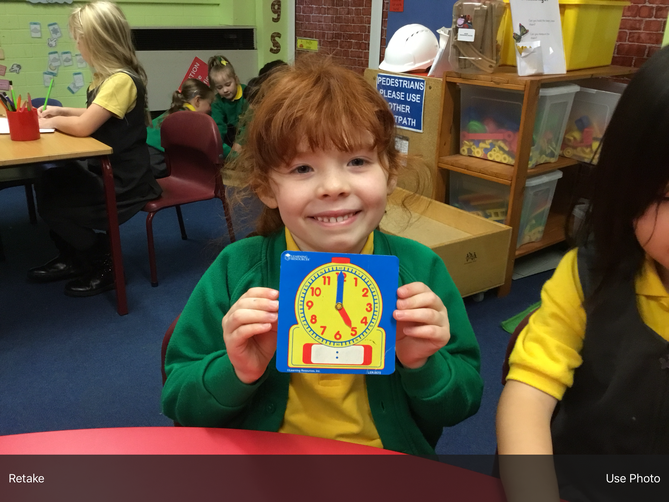 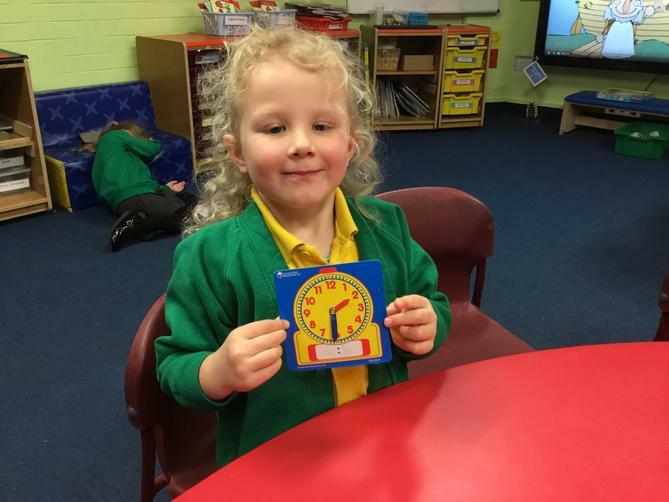 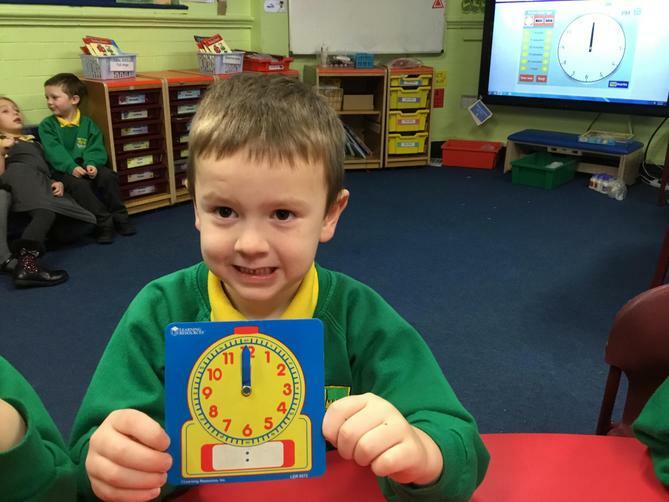 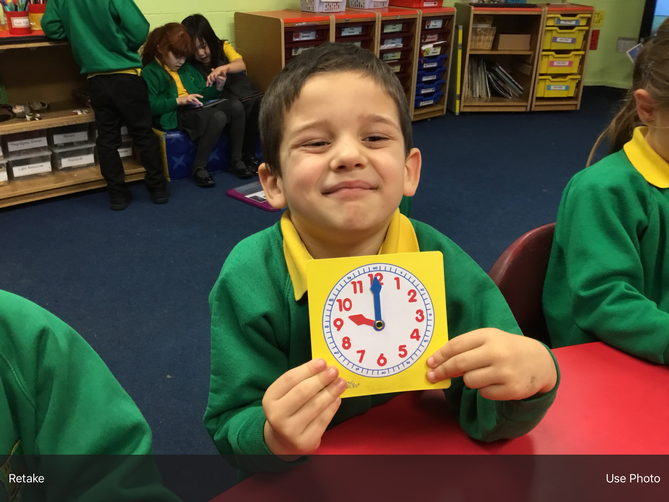 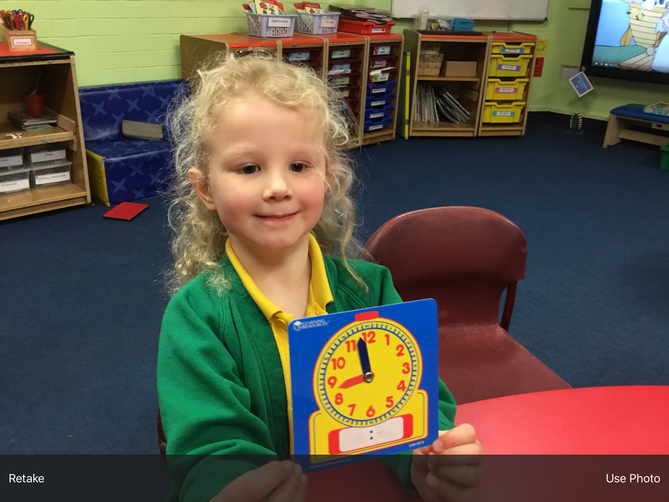 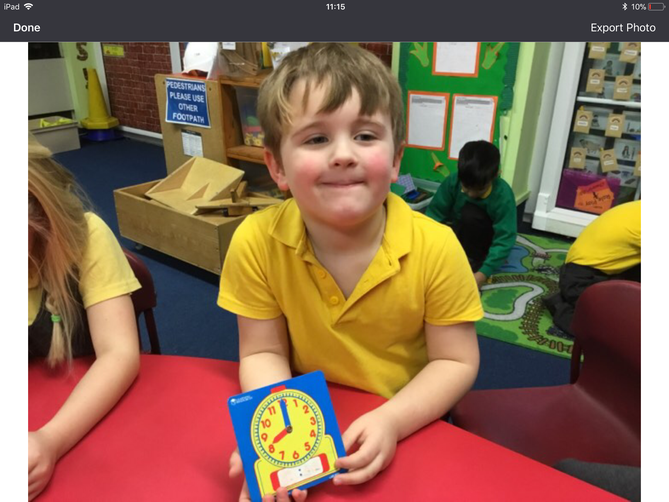 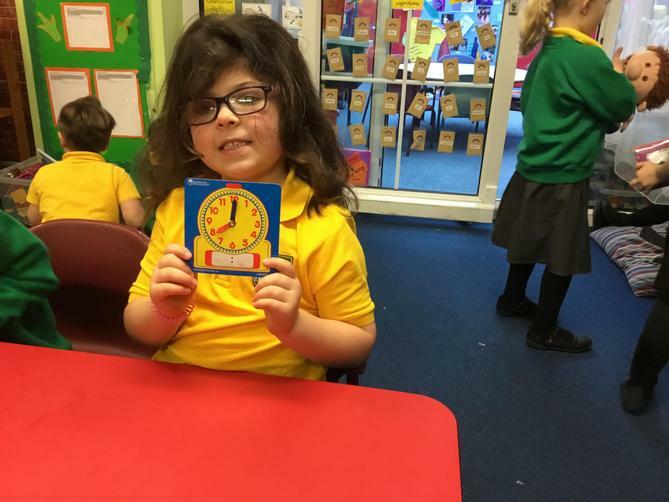 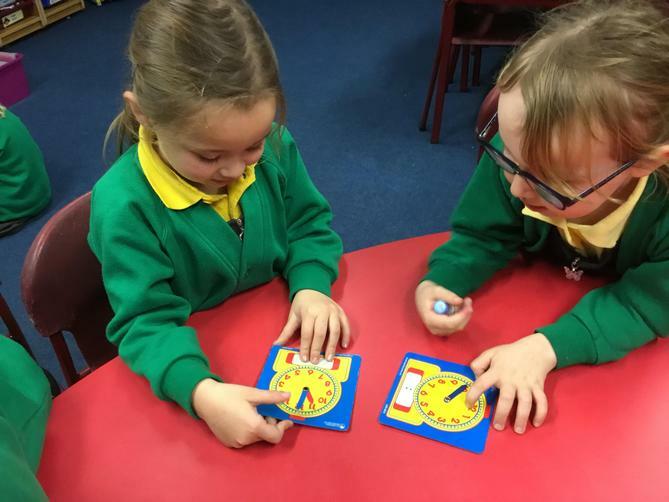 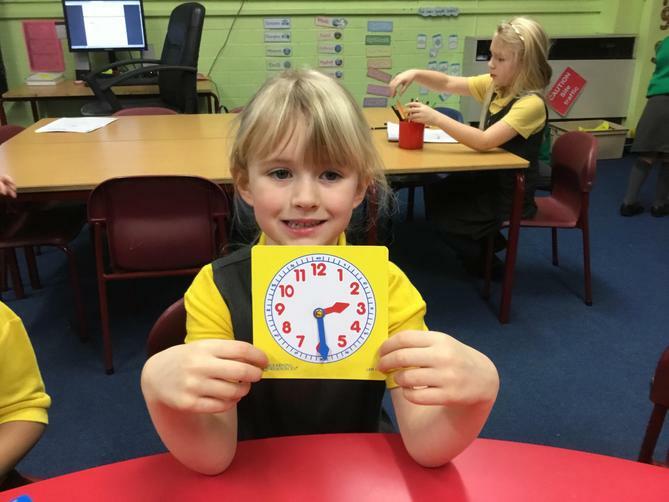 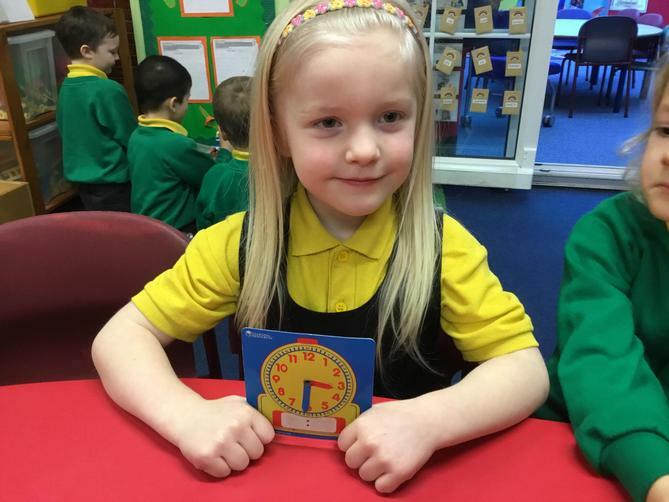 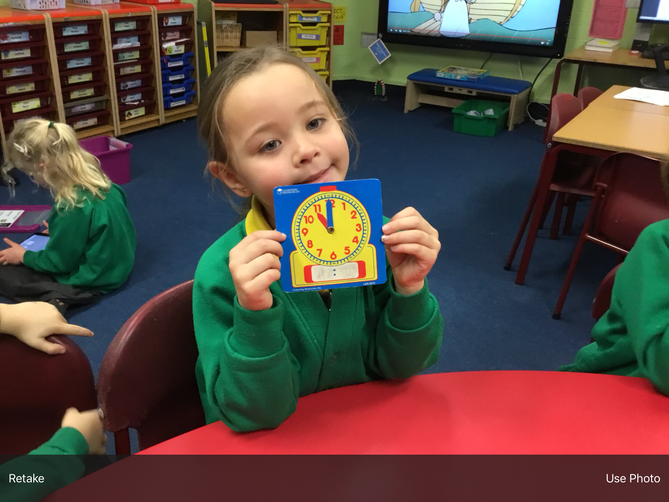 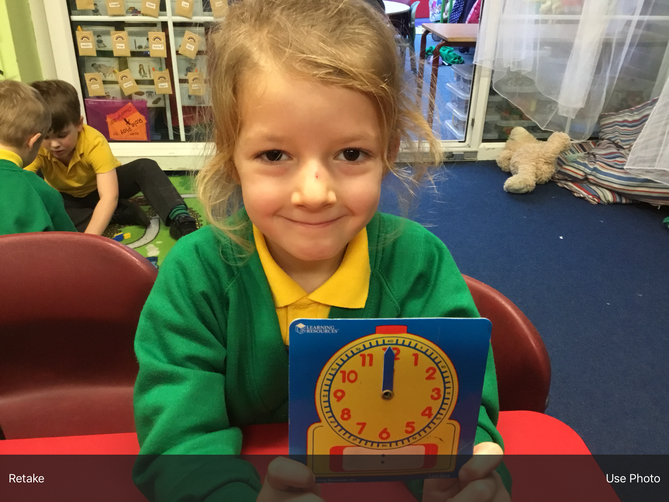 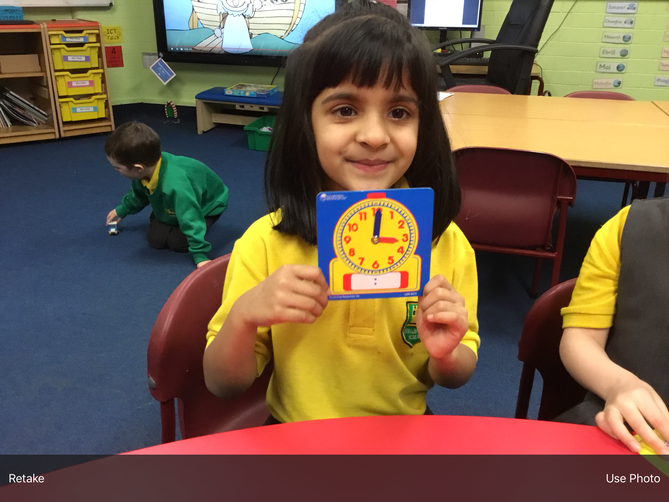 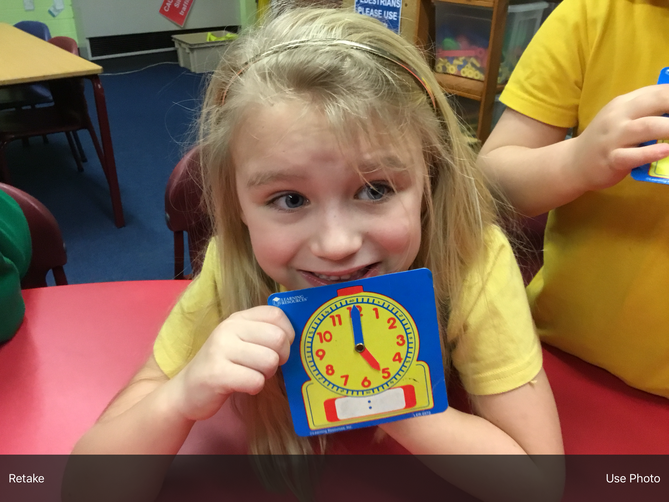 In maths we have been continuing with telling the time, we have been drawing the hand on clocks to half past and o clock. 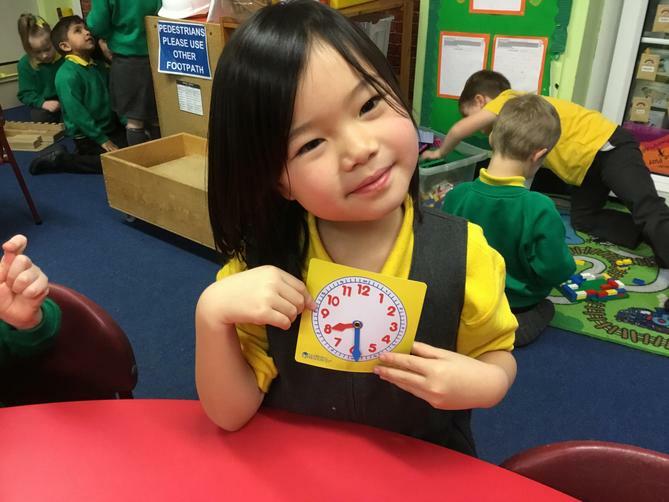 The children's clocks have been put up on our display next to the Welsh time that they have wrote. 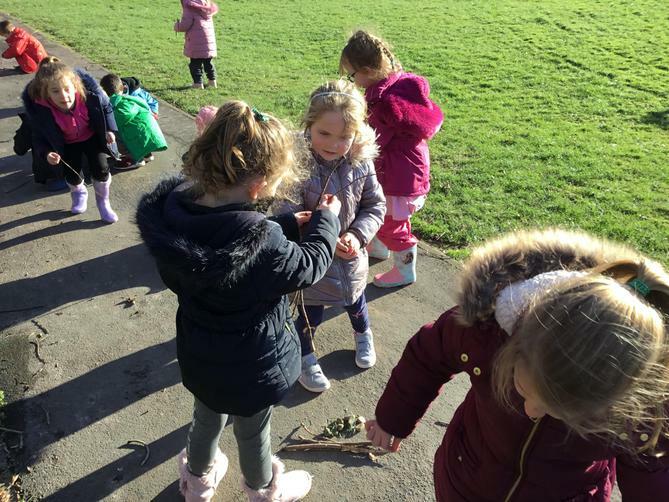 In language we have been writing a letter to our fairy to see if we can find out more about them. 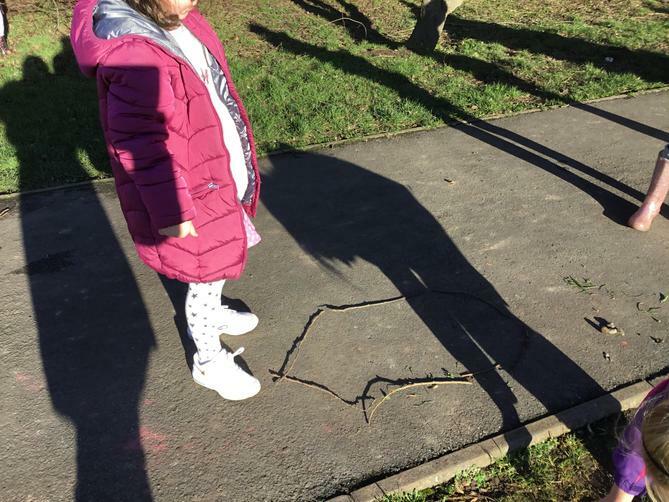 The children came up with the idea to make some posters to see if we could find her. 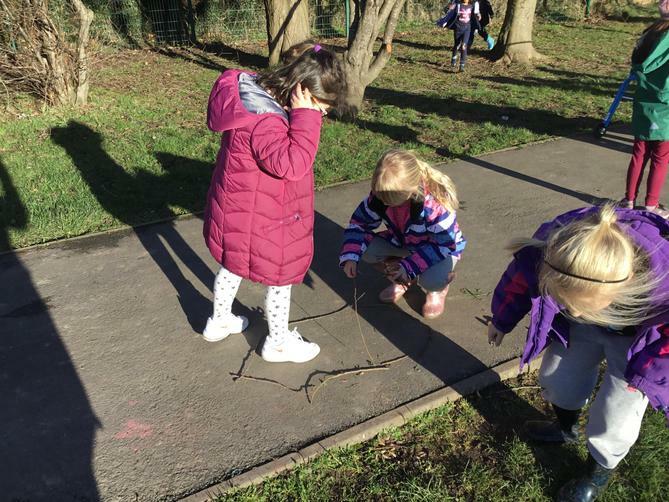 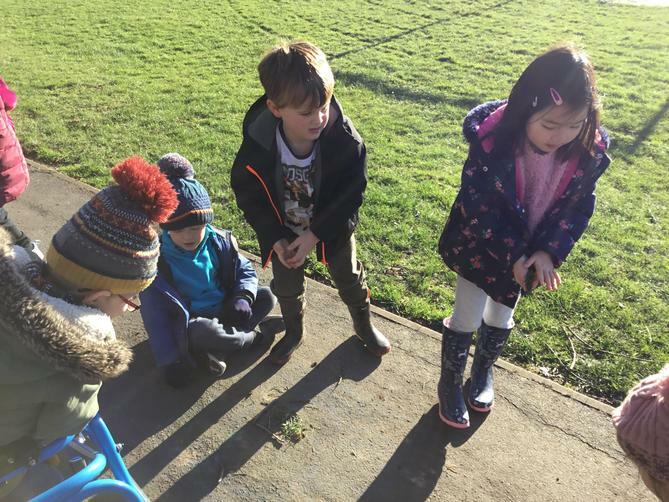 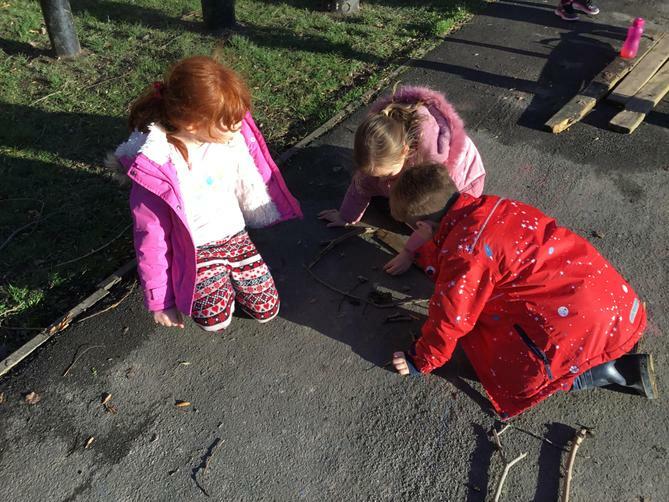 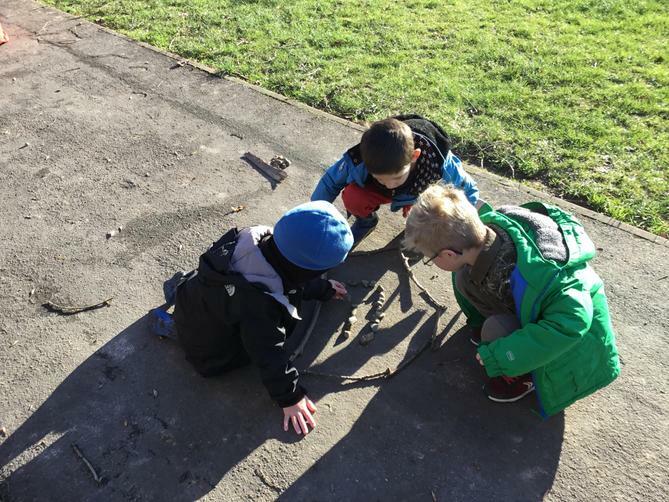 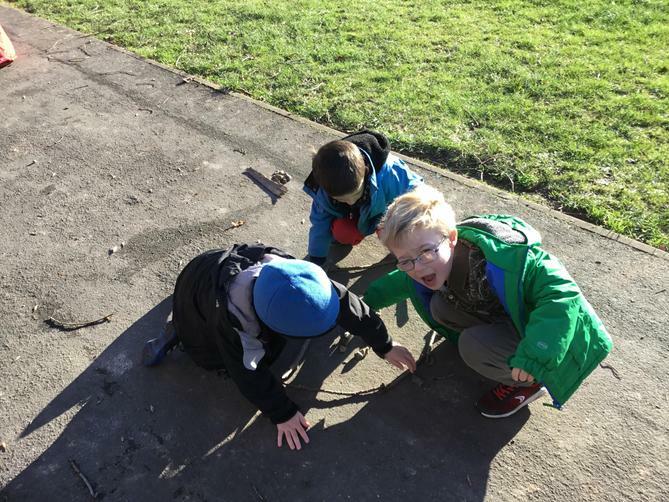 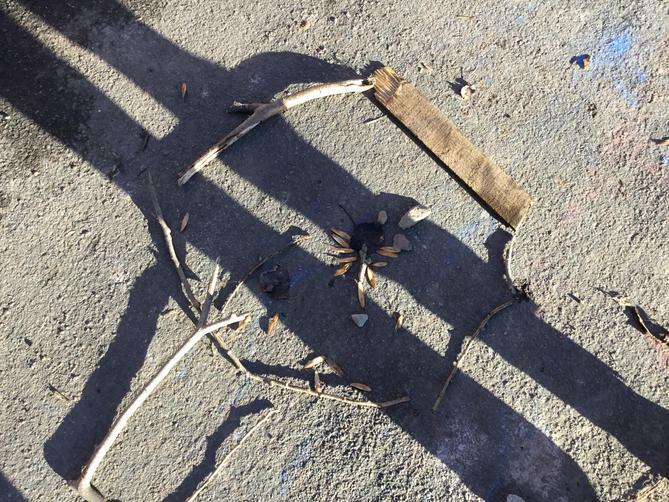 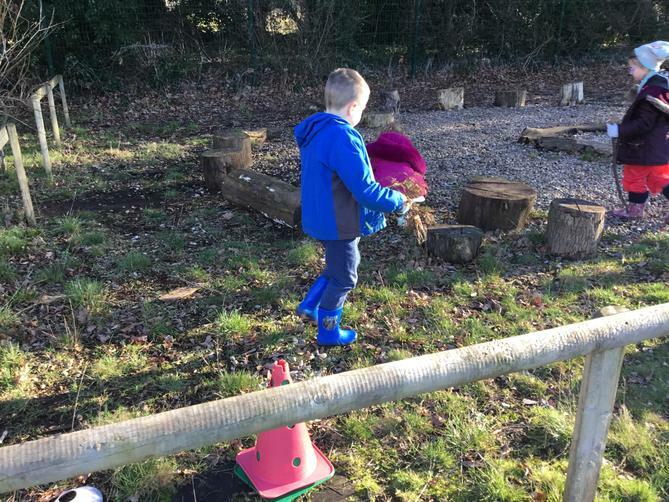 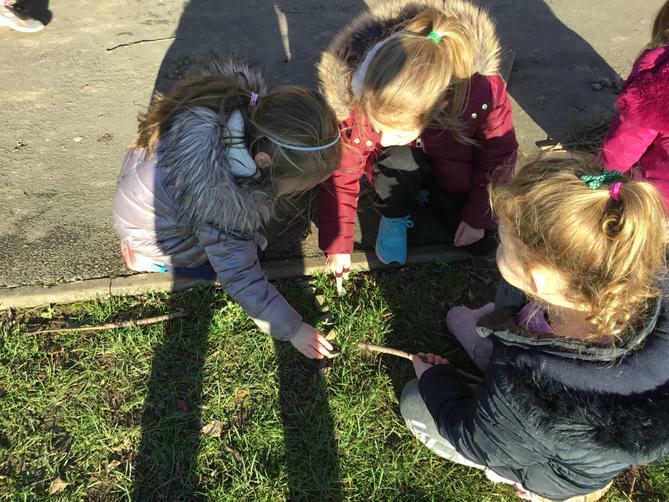 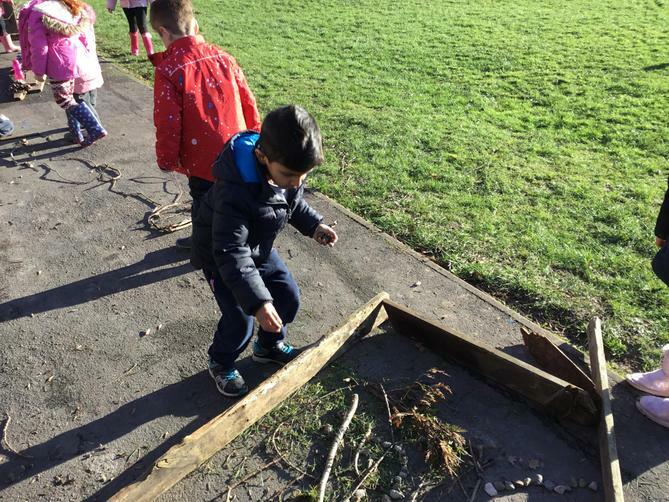 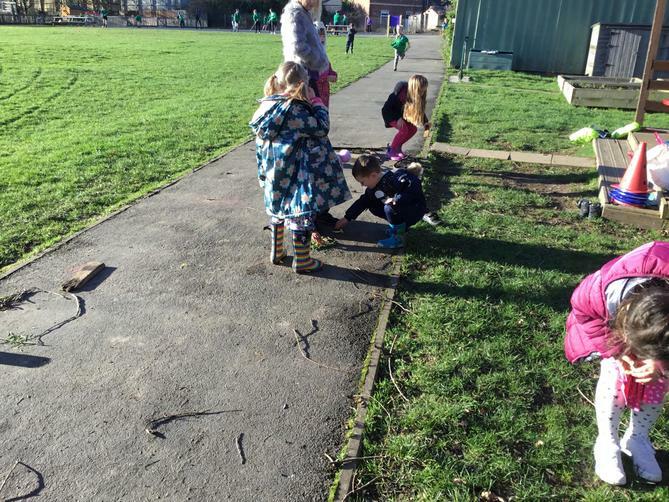 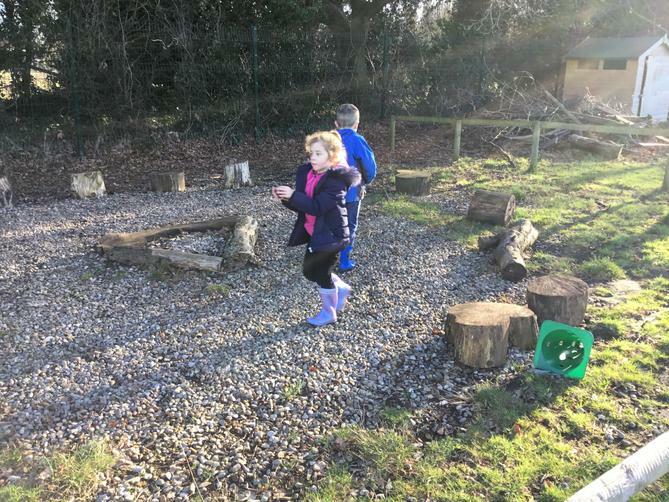 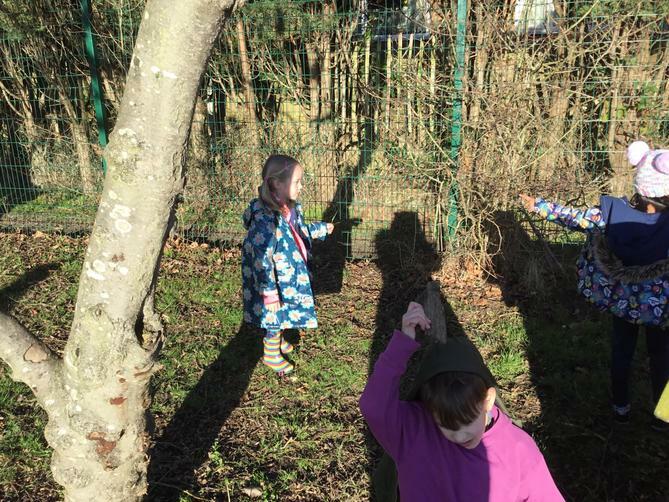 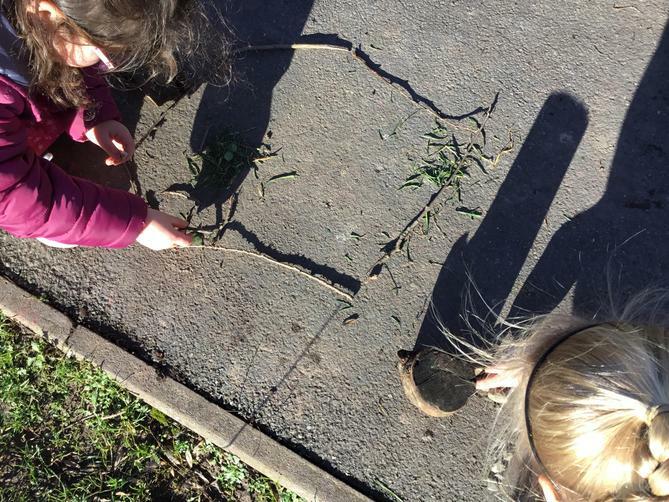 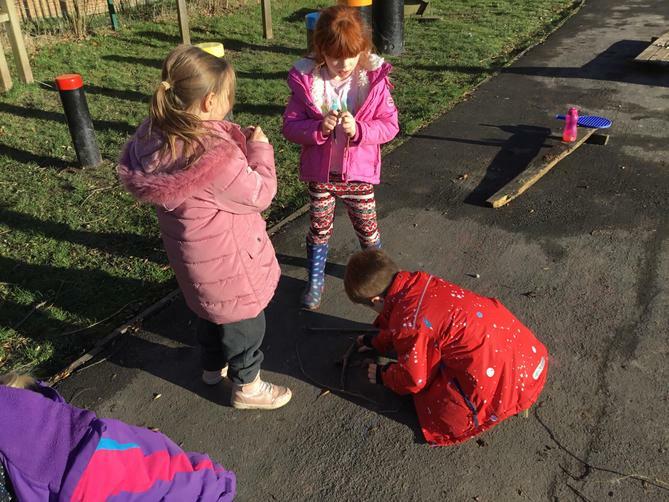 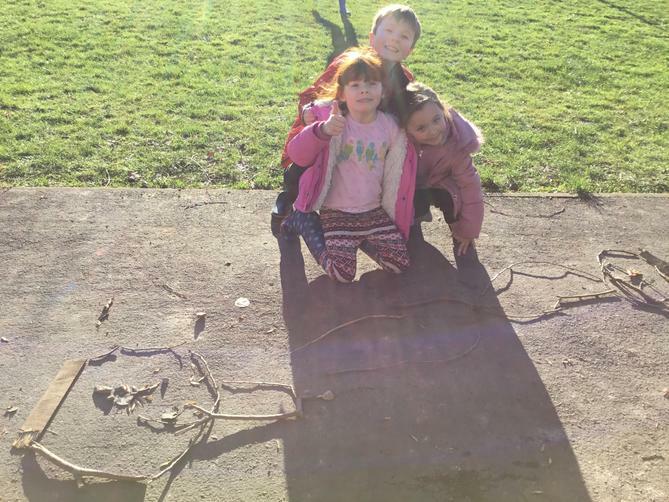 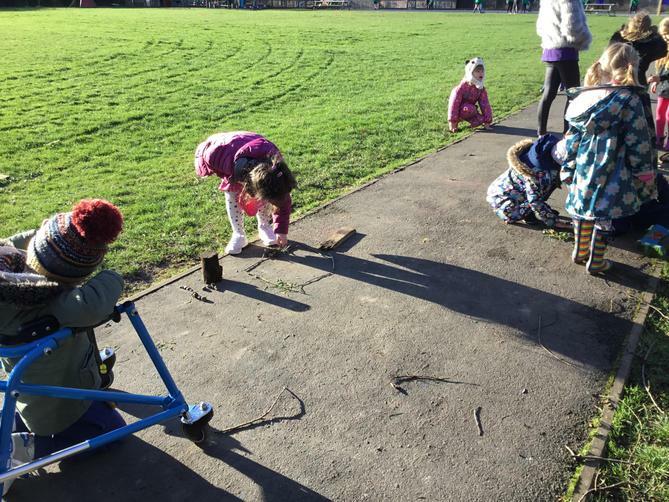 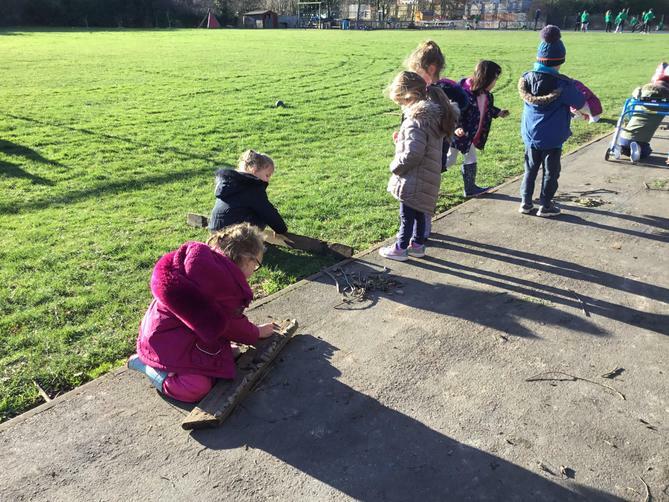 The children enjoyed going outside to perform fairytale freeze frames. 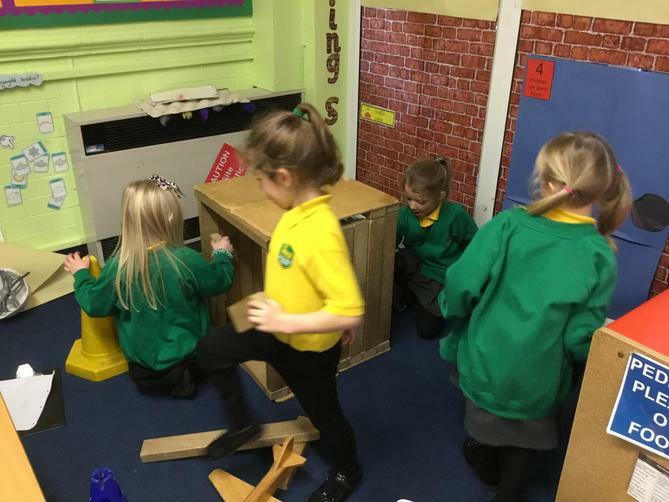 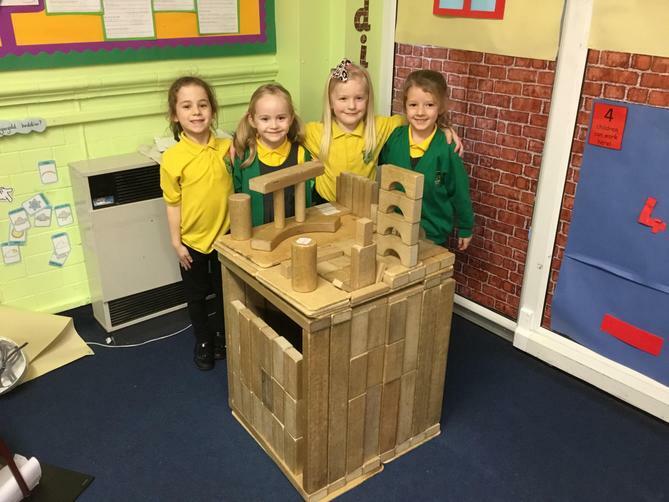 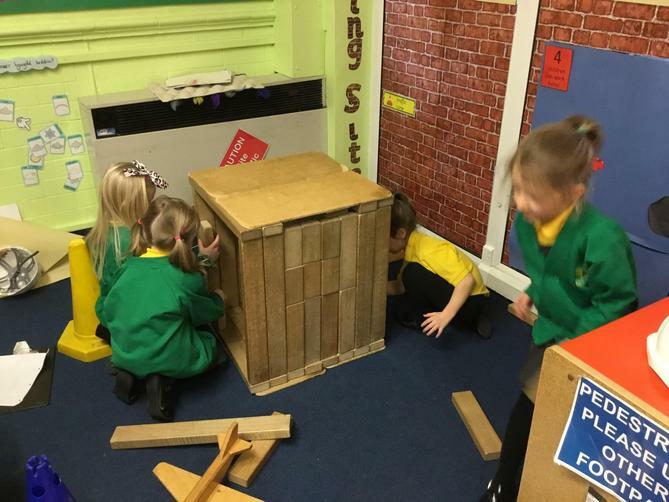 In topic we had a visit from discovery dog, his niece Naughty Narla nocked down the roof of his house so we have come up with a plan to find a stronger roof. 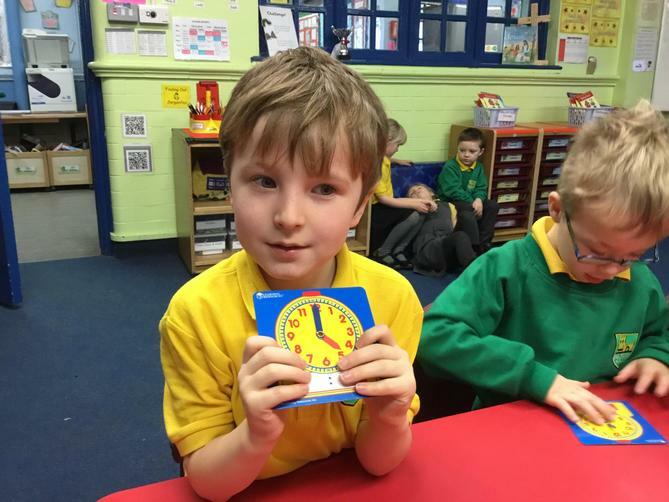 Next week we will be learning how to double numbers in maths. 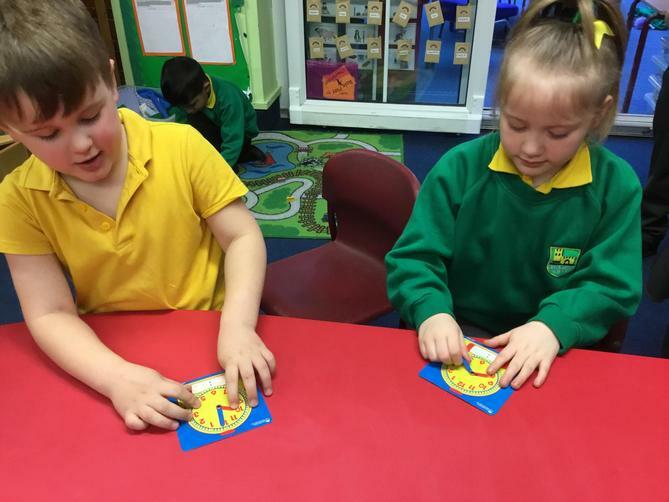 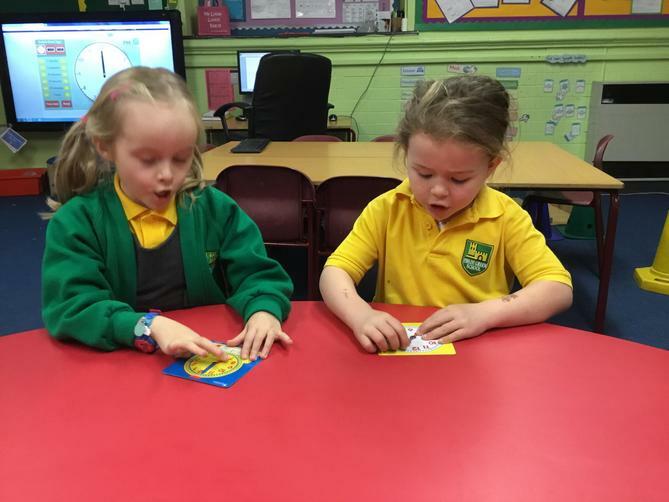 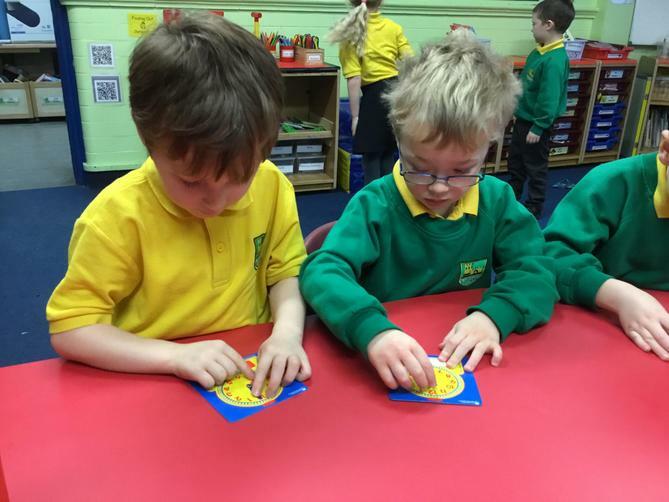 We have some nice double games to play and we will be using mirrors and Pom poms to help us work out doubles. 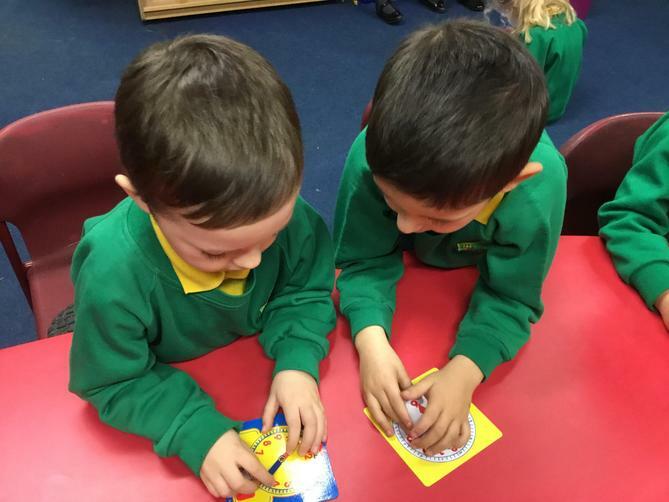 In language we will be thinking about characters from fairytales. 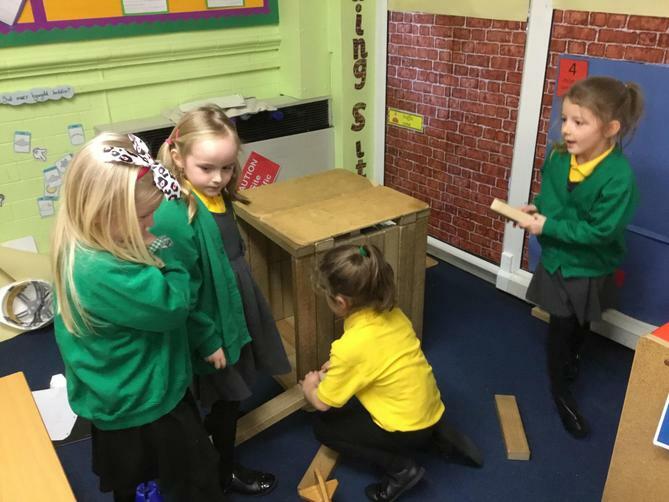 In topic we will be carrying out our investigation to find out which material will make the strongest roof.